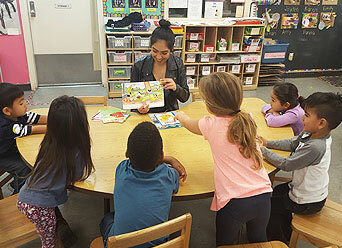 Another basic Reading Legacies strategy is designed to positively impact high school aged youth through a semester-long commitment of reading aloud weekly to young children in their own communities. Special emphasis is placed on reaching into underserved communities. Throughout the semester, adult volunteers partner with the youth participants to provide training, guidance, and encouragement. 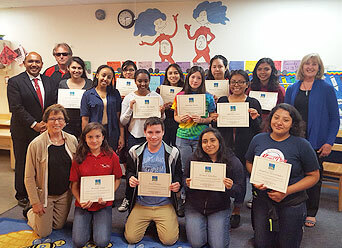 These young volunteers develop a sense of self-esteem and responsibility for the future of their own community. We value reading aloud as an effective medium to build relationships and develop an interest in reading. 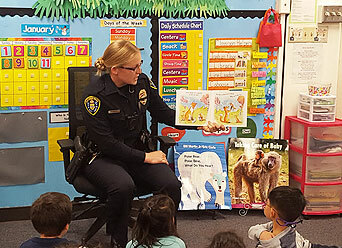 The Guest Reader component is an important part of the Community Connections Program. Adults from the community are invited to read aloud with the young children and dialogue with the high school aged youth. They share information about their careers and educational backgrounds. Evidence-based outcomes are a high priority of Reading Legacies. We utilize pre and post surveys of our participants, surveys of all collaborating partners as well as family members – providing information on their satisfaction and self-assessed behavioral changes. 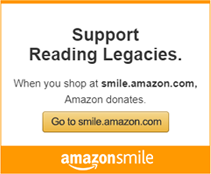 In 2017, Reading Legacies helped to create 3,017 shared-reading experiences for over 564 children and teens through our Reading Legacies program for teens. This was all made possible through the dedication of our volunteers who provided over 2,060 hours of their time, as well as generous contributions from community members.